Affixed to the wall on the north side of road. On south side of road. A rectangular metal plaque; plain narrow border; three prominent studs at the head and three at the foot; raised inscription in upright capital roman lettering. 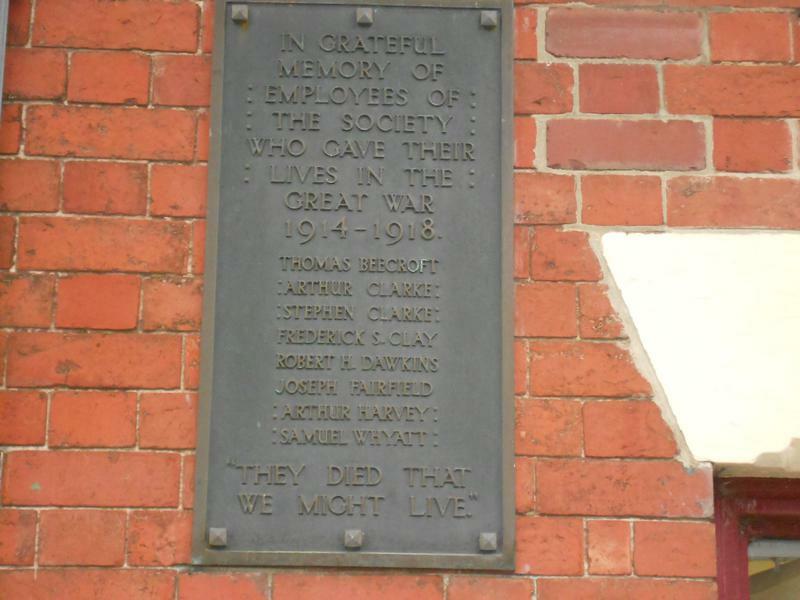 IN GRATEFUL MEMORY/ OF EMPLOYEES/ OF THE SOCIETY/ WHO GAVE THEIR LIVES/ IN THE GREAT WAR/ 1914-1918/ (Names)/ "THEY DIED THAT WE/ MIGHT LIVE"